Welcome to Kansas, nicknamed the Sunflower State, but also known as the Jayhawk State, the Midway State, and the Wheat State. 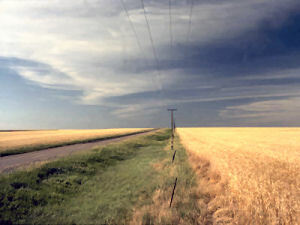 This region of plains and prairie is the breadbasket of the country, growing more wheat than any other state in the union. In 1822, the Santa Fe Trail brought hundreds and hundreds of wagons through Kansas, and as the population grew, Kansas became a state in 1861. Cattle drives and railroads continued to change the face of the state, and Dodge City became home to the largest cattle market in the world, gaining notoriety in the process as the rough and tumbling home to the likes of Wyatt Earp, Wild Bill Hickok, and Bat Masterson. Today, cattle, wheat, corn, and soybeans form the base for the agricultural economy. The state of Kansas was named after the river. The Kansas River was named by the French after the Kansas, Omaha, Kaw, Osage and Dakota Sioux Indian word "KaNze" meaning, in the Kansas language "south wind." The state name for Arkansas shares its origins with Kansas. A reminder of the wild sunflowers that grow in profusion across the state, the Sunflower is also the official State Flower and Floral Emblem of Kansas. One of the nation's leading agricultural states, Kansas has long been known as "The Wheat State." It was number one in all wheat produced, wheat flour milled, and wheat flour milling capacity in the year 2000. Kansas has been called "Midway, U.S.A." because the geographic center of the Continental United States is located in the state. The location, just over a mile to the north and west of the north-central Kansas town of Lebanon, is marked by a stone monument. For the reasons given above, Kansas has also been referred to as "The Central State." Weather conditions conducive to the generation of tornadoes, or cyclones, earned Kansas this nickname. Kansas gets its share of twisters, most notably memorialized in The Wizard of Oz , however, statistics since 1961 show that Oklahoma is more frequently visited by these often devastating wind storms. Nicknamed for the 1874 Grasshopper (Rocky Mountain Locusts) Plague, when the lush landscape of Kansas was denuded by swarms of Rocky Mountain Locusts that swept into the state in July. Millions of these "hoppers" swarmed down upon the middle section of the country from the Dakotas south to Texas. Kansans withstood the attacks and came back, in 1875, with the largest corn harvest in the state's history at that point. Perhaps calamity was one of the reasons the "Garden of the West" never caught on. Also referred to as "The Garden State," this nickname was given to the Kansas because of the beauty of the landscape and the fertility of the soil. This nickname may have been promoted by northern newspapers in attempts to lure people to the territory to counteract the pro-slavery movement in Kansas that was present in the years leading up to Kansas statehood. Kansas was referred to as the "Squatter State" because of the new settlers that flocked into the new territory establishing claims to the land. Early squatters were from the slave state of Missouri. They moved in as quickly as possible to prevent the territory from being populated by people from free states, especially those from New England. Missouri squatters organized the Squatters Claim Association in 1854 in order to secure their claims to the land and prevent emigration from the northern states. Before any arrivals from the northern free states, nearly every man in west Missouri had staked a claim in the new territory of Kansas and become a "Squatter Sovereign" of the state. Almost all desirable land that was open to settlement had been claimed by pro-slavery Missourians. This name for Kansas originated in the tense years leading up to the Civil War and as the territory was being considered for statehood. At this time, states were either admitted to the Union as slave states of free states in an effort to maintain a balance of power between the two in the United States Congress. It was well known that when Kansas entered the Union, it would alter the balance of power between the free states and the slave states. Hundreds of "outsiders" migrated to the territory to fight for pro-slavery or anti-slavery causes. Settlers from Missouri, a slave state to the east of Kansas, crossed the border to attack those who spoke out about slavery. Kansas settlers also launched raids into Missouri. The territory became known as "Bleeding Kansas" for the violent conflicts between anti-slavery and pro-slavery factions. On January 29, 1861, Kansas joined the Union as a free state. During the violent period of conflict before the Civil War, Kansas was sometimes referred to as "The Battleground of Freedom." This historical nickname, sometimes phrased as "The Jayhawker State," traces its history back to 1856 and the conflicts between Kansas and Missouri during the time when Kansas earned the name "Bleeding Kansas" (see above). When an Irishman, named Pat Devlin, was asked what he was doing participating in raids crossing the border into Missouri, he replied, "You know, in Ireland we have a bird we call the Jayhawk, which makes its living off of other birds. I guess you might say I've been Jayhawking!" Originally, this term may have applied to Kansans and Missourians, alike, who were involved with these cross-border raids, but eventually the term came to refer to Kansans exclusively. Missourians became known as "bushwhackers." The Jayhawk was later transformed into a mythical creature, a blue and red bird. Kirke Mecham wrote in his booklet, The Mythical Jayhawk , that the jayhawk "not only could change its size at will but could make itself invisible, and was immortal." People who live in or come from Kansas are called Kansans. Kansans are sometimes referred to as Jayhawkers. Kansans have also been referred to as Grasshoppers and Sunflowers, names derived from some of the state nicknames described above. The fourth quarter to be released in 2005 commemorates the State of Kansas. On January 29, 1861, the "Sunflower State" became the 34th state to be admitted into the Union. Kansas marks the 34th coin to be issued in the United States Mint's popular 50 State Quarters® Program, and features a buffalo and sunflower motif, emblematic of the State's history and natural beauty. The Kansas commemorative quarter incorporates two of the State's most beloved symbols, the state animal and flower, the buffalo and the sunflower. Each of these two design elements is a visual reminder of our Nation's heartland. They feature prominently in the history of the territory, and both were found in abundance throughout the State in the middle of the 19th century when Kansas gained its statehood. 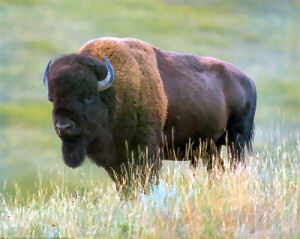 With its release in the Fall of 2005, it is the second United States circulating coin of 2005 to carry an image of the buffalo. In June of 2003, Kansas Governor Kathleen Sebelius announced the creation of the 16-member Kansas Commemorative Coin Commission to narrow the search for Kansas' quarter design to four finalists. The winning design was then recommended by the State's high school students in a statewide vote held in the Spring of 2004. In addition to the winning design, the other finalists included an image of the statue that sits atop the State Capitol -- an American Indian archer aiming his bow skyward, toward the North Star, an image of a sunflower with wheat, and a design that featured a single sunflower. The Department of Treasury approved the "Buffalo and Sunflower" design on July 13, 2004. Cutler, William G. History of the State of Kansas , A.T. Andreas, Chicago, Illinois - 1883. Kansas (From Sea to Shining Sea) , by W. Scott Ingram. 80 pages. Publisher: Children's Press(CT) (September 2003) Reading level: Grades 3-5. 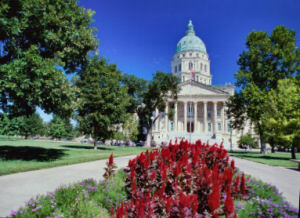 Presents information about Kansas's people, geography, history, landmarks, natural resources, government, state capitol, towns and cities, and more. Kansas (World Almanac Library of the States) , by Scott Ingram. 48 pages. Gareth Stevens Publishing (January 1, 2002) Reading level: Grades 4-6. Filled with the most up-to-date information, including the latest Census results. Full-color photos bring to life the story of Kansas. In addition to an in-depth factual profile of Kansas in the form of a state Almanac, this book offers fascinating and lively discussions of the state's history, people, geography, government, economy, culture, and lifestyles. A section on Notable People, a calendar of events, and enough primary source documents, time lines, maps, and other tools to make this unquestionably the best young adult reference material on the USA available anywhere. 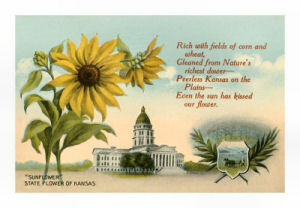 Kansas: The History of the Sunflower State, 1854-2000 , by Craig Minor. 416 pages. Publisher: University Press of Kansas; illustrated edition edition (October 2002) Kansas is not only the Sunflower State, it's the very heart of America's heartland. It is a place of extremes in politics as well as climate, where ambitious and energetic people have attempted to put ideals into practice--a state that has come a long way since being identified primarily with John Brown and his exploits. Craig Miner has written a complete and balanced history of Kansas, capturing the state's colorful past and dynamic present as he depicts the persistence of contrasting images of and attitudes toward the state throughout its 150 years. A work combining serious scholarship with great readability, it encompasses everything from the Kansas-Nebraska Act to the evolution-creationism controversy, emphasizing the historical moments that were pivotal in forming the culture of the state and the diverse group of people who have contributed to its history. West of Wichita: Settling the High Plains of Kansas, 1865-1890 , by Craig Minor. 304 pages. Publisher: University Press of Kansas (April 1988) This volume, which presents a "slice-of-life" on the Plains during its early settlement, adds rich detail to our understanding of the struggle for survival in a harsh landscape that tested the hardiest pioneer. Miner concentrates not only on the major economic events of the period--railroad building, Indian raids, the grasshopper invasion of 1874, the blizzard of 1886--but also on the more personal experiences equally important: building sod houses, choosing crops, filing of claims, fighting varmints, and dealing with the deaths of children on the prairie. True Tales of Old-Time Kansas , by David Dary. 336 pages. Publisher: University Press of Kansas; Rev Sub edition (June 1984) "Authentic history, delightfully told" is the way Ray A. Billington, renowned historian of the Old West, described this collection. David Dary, award-winning chronicler of life on the frontier plains, is at his entertaining best in these thirty-nine episodes, sagas, and tales from Kansas's vigorous, free-spirited past. Many of the stories appeared in Dary's True Tales of the Old-Time Plains , but that book, out of print for several years, focused on the Great Plains in general. This new edition, revised and with additional stories and a new title, pulls together tales about people, animals and events in what is today Kansas, including the old territory of Kansas (1854-1861) that stretched from the Missouri River westward to the summit of the Rocky Mountains..
More True Tales of Old-Time Kansas , by David Dary. 268 pages. Publisher: niversity Press of Kansas (April 1987) More True Tales is filled with engaging stories of outlaws and lawmen, trailride adventures, buried treasures, natural catastrophes, the famous and the obscure. Sometimes romantic and always colorful, these stories touch on the struggles and hardships encountered by the pioneers as they attempted to adjust to life in early Kansas. The tales reflect the pioneering spirit of the nineteenth and early twentieth centuries in this part of the country--love of freedom and individualism, and a healthy respect for Nature.